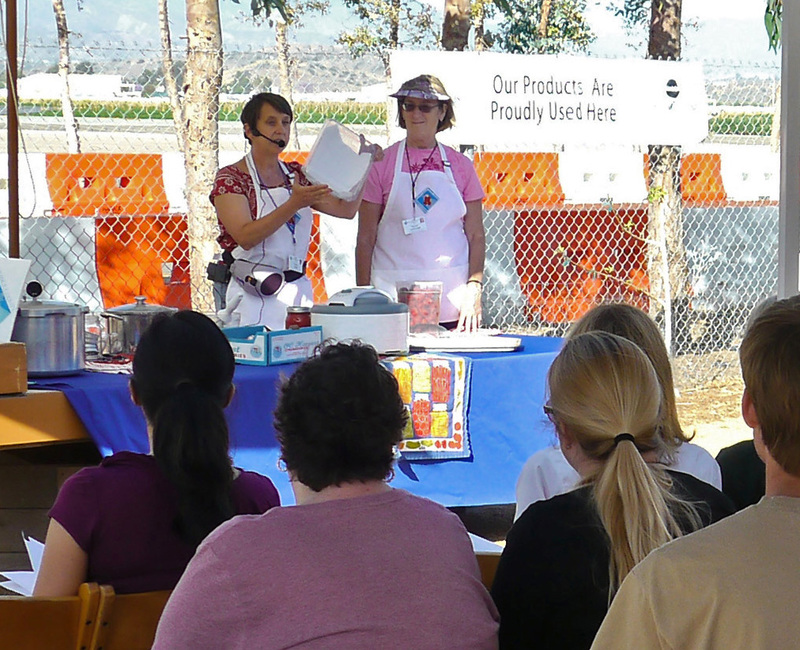 The Food + Farm Lab at the Irvine Great Park has a series of classes about edible gardening. They wanted a talk on food preservation to be a part of the series. So they asked the Master Food Preservers if one of us would be willing to be the speaker. So, last Thursday evening I did my first big presentation as a Master Food Preserver. I used strawberries as my topic and covered buying, storing, freezing, dehydrating, and jam making. Whew, it was a lot to cover in less than an hour. I had a great assistant who was also from my class. It was a lot of fun and the audience was really great. They seemed to really want to learn. Based on the questions after the presentation, dehydrating (especially fruit leathers) and jam making were the most interesting to the crowd.